1. When is a clock not a clock? When it’s a timepiece! The word “clock” comes from the Dutch word “glock,” which means bell. The word “clock” was used to ring a bell. When a clock doesn’t strike or chime, it’s a timepiece. 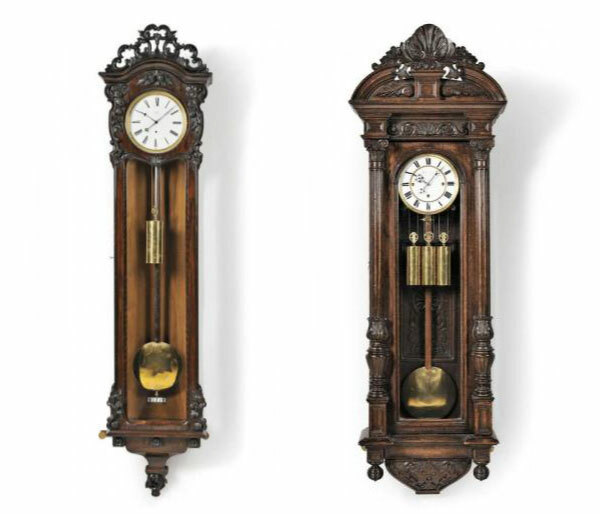 Similar looks, however on the left is a Mayer Year-duration Vienna Regulator Timepiece and on the right a Carved Thirty-day Vienna Regulator Wall Clock, both in Skinners upcoming Clocks, Watches & Scientific Instruments auction April 29. 2. What does “Tempus Fugit” mean on a clock dial? Instead of a brand name, it is actually a Latin phrase that translates into English as “time flies”. 3. Is there music in the chime of a clock? 4. 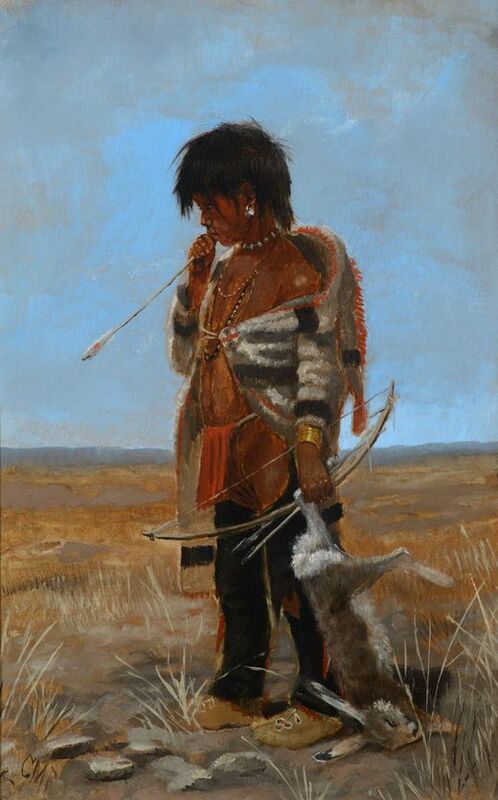 What were early clocks like? In early days, a clock’s movement was cased in a small box with a dial on the front and hung on the wall while the pendulum and weights hung free in the open air. A breeze could easily upset the pendulum since there was nothing to protect it, which resulted in the clock to stop working. 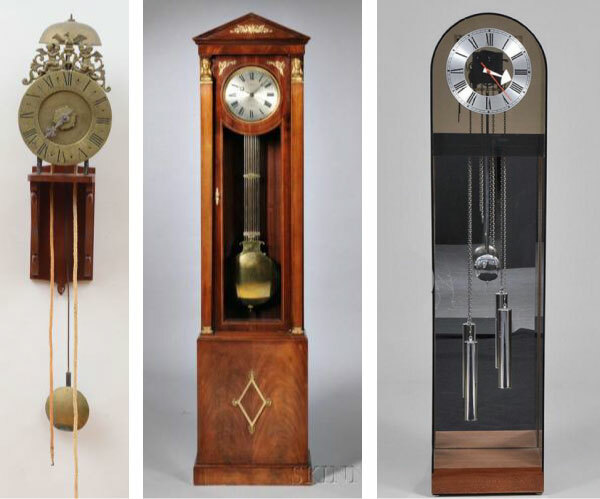 To solve this problem, cabinets were built around the pendulum to protect it and the clocks stood on the floor instead of hanging in the air. 5. Why is the number four written on some clock dials as ‘IIII’ and others ‘IV’? The numbers 1 to 10 are usually expressed in Roman numerals as follows: I, II, III, IV, V, VI, VII, VIII, IX, X. Many clock historians claim that IIII provided artistic balance, since you mentally pair it off with VIII on the other side of the dial, which is why four was displayed as IIII. 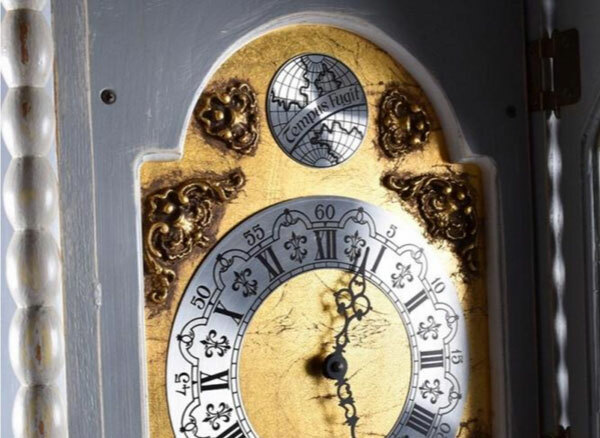 At least as far back as 1550, ‘IIII’ has been used on the clock dial. The modern subtractive method for four (IV) is used today, as well as IIII. IIII seems to be the preference still today. 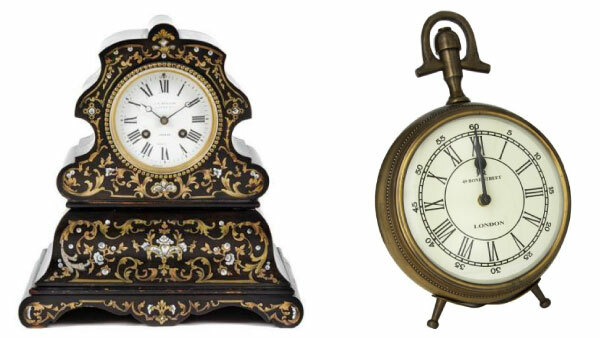 Left: A French Brass and Mother-of-Pearl Inlaid Mantle Clock with the four written as IIII in Leslie Hindman Auctioneers April 20th auction; Right: A modern desk clock with the four written as IV. Leslie Hindman Auctioneers is bringing a collection of fine clocks in its Fine Furniture and Decorative Arts Auction April 20-21. View clocks in the upcoming sale here. 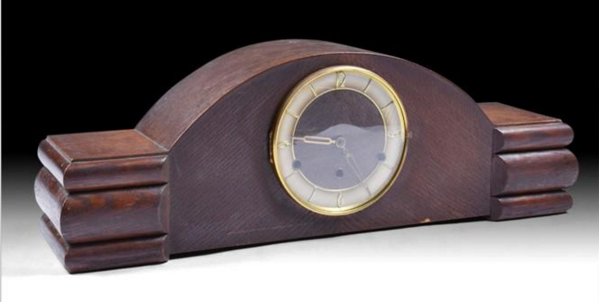 Skinner has put together an entire auction dedicated to clocks, watches and scientific instruments on April 29. View the full catalog here. View all upcoming clocks on the square here.